Sri Lanka’s president called on the Indian government to increase its training of the country’s war crimes accused military, as he met with India’s defence secretary in Colombo on Monday. 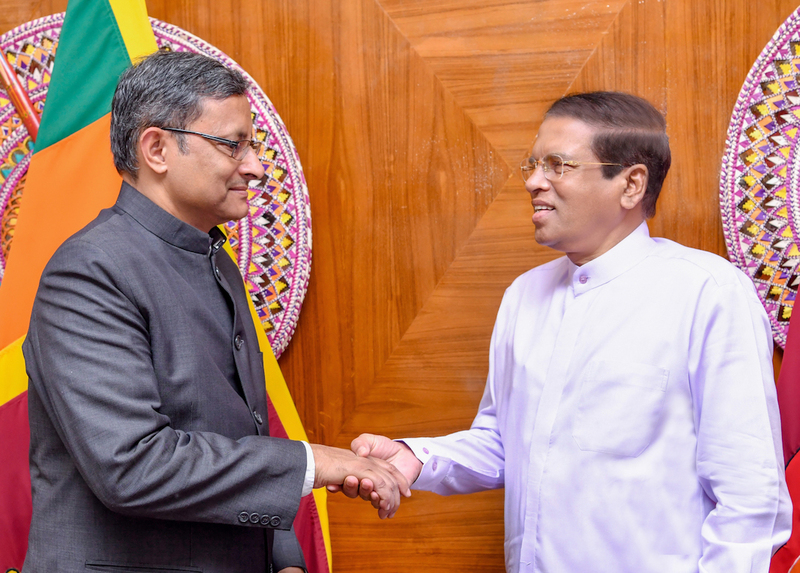 Maithripala Sirisena met with Sanjay Mitra in Colombo, where the two held talks on relations between their governments. According to Sirisena’s official media division, he “thanked the Indian Government for the cooperation extended to Sri Lanka in security issues and for training provided to Sri Lankan security forces personnel". “He also requested to increase the number of personnel trained by India,” said the President’s Media Division. “The Indian Defence Secretary agreed to look into the possibility of enhancing training facilities,” it added. The Hindu reports that “currently, over 60% of Sri Lanka’s military personnel pursue their young officers’ course, junior and senior command courses in India, according to defence sources in Colombo”. The Sri Lankan military currently engages in several training exercises around the world, as well as hosting various programs for foreign troops on the island. The programs continue despite the Sri Lankan security forces having massacred tens of thousands of Tamils during a military offensive in 2009, that saw the bombing of hospitals and other atrocity crimes.